DARPA Avatar Program Coming, But Will Soldiers Want To? How much of your tax money would you spend on a program to recreate Avatar, a movie in which a human is "uploaded" to a robot? * Whenever a science-fictional desire exists, DARPA is ready to meet that desire (and if you don't think so, see my DARPA Project List). You might notice that most of the sites covering this story showed Jake with some sort of macho weapon. 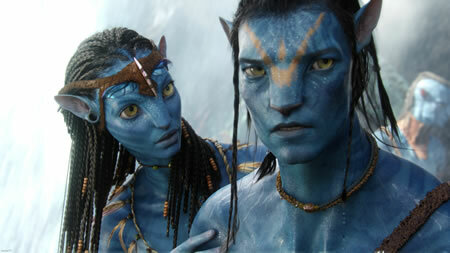 But we all know why Jake wanted to stay in Avatar mode - so he could get next to lovely Neytiri. Which, as it turns out, is a scenario that is at least three-quarters of a century-old. In his 1938 classic The Robot and the Lady, Manly Wade Wellman wrote about a man and woman who met - as a dashing and a beautiful robot, respectively. I turned to where, on my desk, I had set up my controls. To my ears I clamped receivers, upon my eyes I bound the gogglelike televisors that would coincide my viewpoint with that of the robot. A transmitter would place my voice upon those sculptured lips. My hands touched a great keyboard, whence, perfect through long practice, I could direct lifelike motion. Via ExtremeTech; thanks to Winchell Chung for the reminder to do this story.